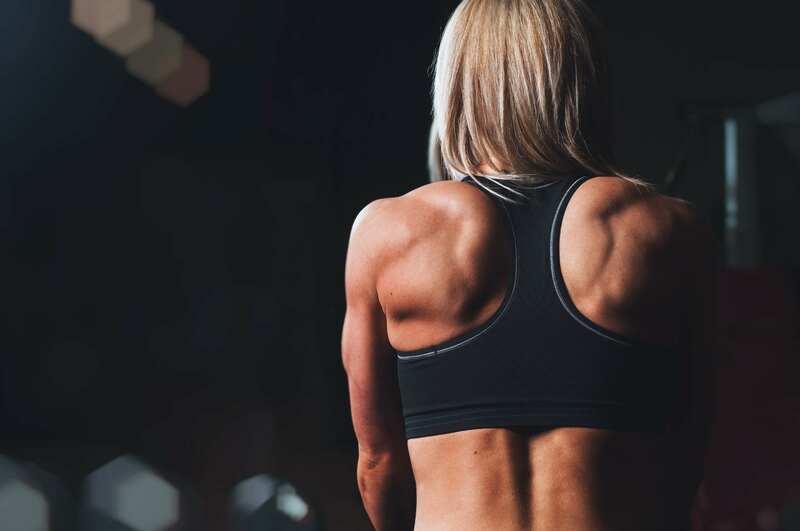 We sweat through workouts that would have once been on a professional athletes training schedule and we’re up to speed on the ins and outs of strength training. But it’s pretty safe to say that most of us know next to nothing when it comes to recovering like an athlete. Sure, you nurse aches and pains with a quick bag of peas but chances are that your knowledge is a little light when it comes to nursing like a pro. We caught up with physiotherapist Robert Parry and personal trainer Cassie Day to talk about where we’re all going wrong. Professional athletes have regular recovery sessions. They don’t hurry up and stretch just to beat the shower cue and they foam roll every day. Not many of us can say we do the same. 10 years ago you didn’t see kettlebells at Fitness First. People weren’t doing Olympic lifting, pushing sleds, using battle ropes. Professional athletes did that. But now everyone does it. But this high level of training has not corresponded to recovery. Basically, we’re training at professional levels but not recovering at them. If you’re going to work out like a pro, recover like one, too. Recovery can hurt, but we just have to accept it. Unfortunately, with foam rolling, if it’s hurting a lot that usually means you need to do it more. Keep in mind that it’s unlikely it will do any damage to the muscle – just make sure you’re avoiding your joints. People shouldn’t be afraid to push their bodies, they just need to be aware and proactive of what their bodies are doing. When you have overworked a muscle, it will illicit a response. Sometimes those responses are aggressive and overwhelming for the person, sometimes they are manageable. If a muscle is being overloaded and the person has severe pain response, they must stop. Robert tells his clients to foam roll every day. Foam rollers are not only useful in releasing muscular tension, but they are also beneficial in activating and balancing muscular discrepancies. I suggest to my clients foam rolling before the workout, to get the muscle actively firing correctly and post workout to release the tension that has just been built. Don’t have time to foam roll? Robert says a daily roll for 30 seconds is much more effective than couple times a week for 10mins at a time. 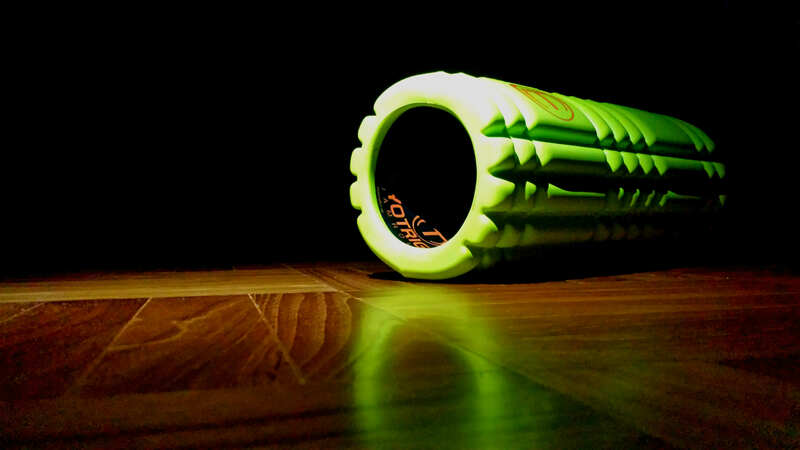 Take 30 seconds in front of the tv to foam roll – it saves you time and makes life easier. Ice on the other hand is used to aid in the recovery of a muscle after the damage has already been done. But you shouldn’t skip out on this if you’re nursing an injury. Robert says that if you’re consistent with icing and foam rolling, your body will adapt to its active inflamed state and will recover faster. So above anything, being proactive and regular about foam rolling and icing is important. This is a big one according to both Robert and Cassie. In other words, listen to your body. If I do a heavy leg day on Monday, I’ll often rest my legs Tuesday and Wednesday and train them again Thursday. If my body needs some extra recovery I’ll spend some time in the hot tub and steam room that day. Robert agrees, saying the most common recovery mistake is definitely not listening to your body. That’s not to say you should push yourself above your limit – if something doesn’t feel right, then it probably isn’t. Robert says to ‘be aware and proactive’ of what your body is telling you. We’ve all been guilty of this. Finishing your workout and running to the change room ahead of the masses is great, but it’s not worth the consequences of stretching at breakneck speeds or skipping it all together. Clients try to skip out on stretching and just head straight to the change rooms. People may think it’s saving time in their daily routine, but it’s really harming your body in the long run. Never under estimate the importance of stretching. Leaving the gym with tight ankles and tight hips won’t allow you to properly perform squats your next workout. If you’re a night owl when it comes to hitting the gym, chances are, you’ve been guilty of not refueling after a workout. Clients will workout after dinner and think they don’t need to eat anything for the rest of the night. It’s important to refuel your body with protein for tissue growth and repair. Since the body is continuously breaking down proteins, our diet must provide sufficient quantities. 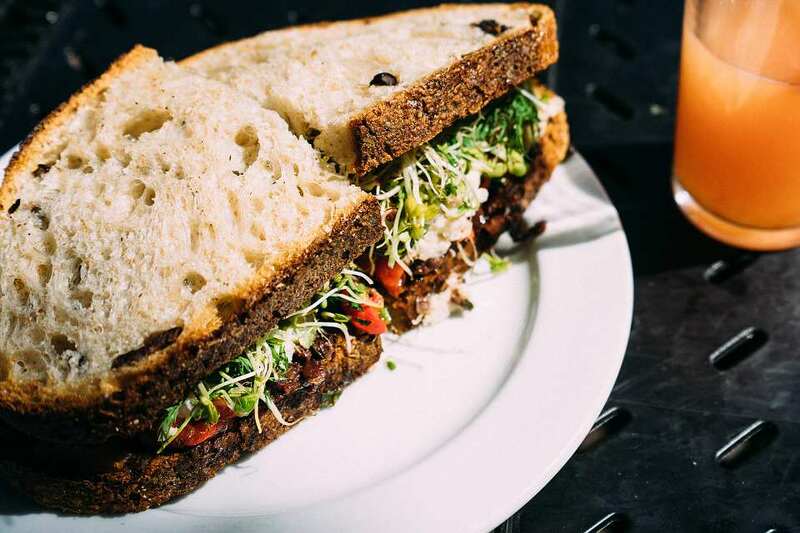 Although recommended intakes vary and depend on body size and activity, you should always kickstart muscle repair, recovery, and growth by consuming protein post workout. Sometimes a nap can be more beneficial than a workout. Cassie says ‘building fatigue upon fatigue just results in the inability to work out properly’, resulting in more fatigue, inflammation, missed workouts and poor results. So if you’re guilty of not getting enough sleep, skipping a stretch to hit the showers, or throwing a bag of peas on instead of ice, it’s time you rehab your definition of recovery and listen to the experts. Your body will thank you for it.